In April 2019, an unprecedented number of U.S. citizens could be completing their tax returns with little idea of whether their filings are complying with tax laws. Millions of US citizens have invested in cryptocurrencies over the past year. Whether they’re “hodlers” (those that buy cryptocurrency to hold as an investment) or traders, their moves are subject to vague and outdated tax laws. This is hugely worrying and, frankly, an unacceptable state of affairs. There is no sign of new guidance from the IRS ahead of April so investors and their representatives will have to exercise reasonable judgement to ensure the positions they take are defensible. The first sensible step is to jrecord cryptocurrency investments and trading activity in as much detail as possible. This includes dates, values, and specific amounts of purchases and sales. The next step is to pay careful attention to the laws as they stand, making sensible and defensible judgements where possible. The proper federal income tax treatment of a cryptocurrency hard fork is a particularly gray area of US tax law. After a fork, the original owner of a cryptocurrency retains their interest in the original coin and also has the right to use the forked coin. This raises a particular tax issue: Does a holder of a cryptocurrency that experiences a fork immediately realize taxable income in the eyes of the IRS? This is an issue affecting many investors. 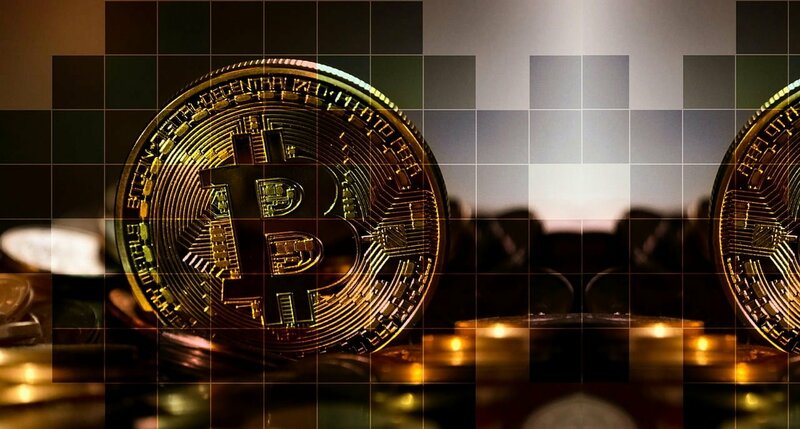 Bitcoin, for example, forked several times in 2017, and again in just the past few weeks.The Bitcoin Cash fork that resulted in Bitcoin Cash ABC and Bitcoin SV alone effectively doubled every holder’s amount of Bitcoin Cash digital currency. Despite calls from various parties – from tax experts to US senators – the IRS is yet to offer detailed guidance beyond the 2014 memo. Amid this vacuum, some accountants and advisers are treating the value of the coins received as taxable income on the date of the fork. Yet, I along with many other experts, believe tax should be paid when investors sell the forked coins at a 100% capital gain. Demanding that individuals pay income on value they never had a voice in receiving seems against all principles of fairness, and the American Institute of Certified Public Accountants agree. The solution? Carefully record all crypto investments and trading – be ready to demonstrate transparency when you are audited. Work with a recognized expert in the field of cryptocurrency tax, a CPA, or a legal professional specializing in crypto. Excellent tools exist to help list out trade activity and provide a detailed audit trail you can hand over to the IRS in defense of your position. You should always be able to identity each transaction as digital assets are moved from wallet to wallet or from exchange to exchange. In the eyes of the IRS, virtual currency is property and is therefore subject to tax principles applicable to property transactions. In other words, capital gains from cryptocurrency is treated in the same way as profits from barter exchanges involving property. If you buy, for example, an amount of Bitcoin then sell it to buy Ether, this trade is subject to tax. Remember, Bitcoin and Ether are treated as property; if you sold Bitcoin to buy a house, you’d have to pay tax too. Keeping accurate records of exchanges can be a big challenge for active and casual traders alike due to how blockchain transactions are executed. Many small pieces of cryptocurrencies are grouped when making a sale and each piece will have its own gain or loss associated with their individual cost basis. FIFO or LIFO will not help you here. This is where accountancy software specially designed for cryptocurrency can help. Relying on general accountancy software or spreadsheets will leave you with some difficult, and in some cases impossible, calculations. Whether you’ve received virtual currency as payment for goods or services, or used cryptocurrency to make payments, the market value on the date of transaction should be used in your tax sums. If you’ve ever held crypto assets abroad, you should look at the impact in your April filing. The IRS has the ability to track foreign investments – including using subpoenas as it has did against Coinbase to access information about its millions of account holders. It’s not uncommon for crypto traders to take advantage of different exchanges located in and outside of the US. For assets transferred into or out of foreign exchanges, you may be required to file Form 8938, Statement of Specified Foreign Financial Assets. Any Coinbase account holder who hasn’t declared their transactions should follow this same advice. Authorities are likely to show understanding to those who make voluntary disclosures and take steps to mitigate their oversights. It might still be possible to amend past tax returns or file missed returns. A common thread runs through this article – the need to track every crypto trade. Blockchain accounting software can calculate gains and losses and whether a gain was short term or long term. The right software can also calculate the cost basis for every digital currency transaction – so you don’t underreport or overreport your taxes. At the moment, the crypto tax laws are foggy. It’s important to maintain as much clarity as possible in your affairs until the cloud lifts. Author: NODE40Sean Ryan and Perry Woodin, are the Founders of NODE40. NODE40 Balance is a robust cryptocurrency reporting software that integrates directly with major cryptocurrency exchanges. Members of the blockchain community transacting in, trading, or mining digital currency, have likely triggered a taxable event and can be unaware of how to properly disclose these transactions to the government.